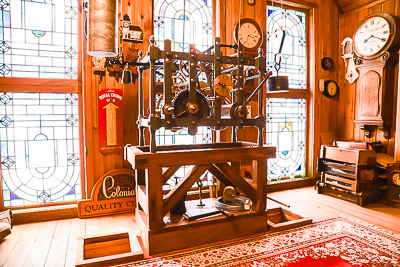 Founded by former fireman in 1967, clock enthusiast William Jerry (Champ) Champion made it his mission to grow Champ’s Clock Shop as the World’s Largest and Finest Selection of Clocks. Now with over 1,000 different clocks on display, Champ’s is filled with antiques and lots of character for all to see. Champ’s Clock Shop has attracted thousands of visitors from all over the world to explore the magnificent house of clocks. Visitors exclaim that with its museum quality environment, it makes for a sight that should only be seen in person. 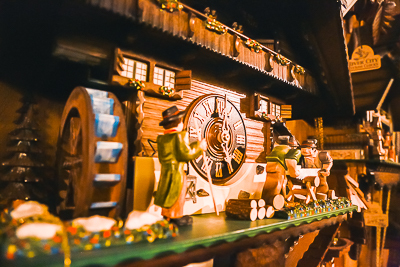 Aside from being a wildly popular clock show room that displays the world’s largest cuckoo clock, and esteemed grandfather clocks, Champ’s Clock Shop is also a full-service clock shop. They specialize in repairs, selections, inspections, tuning, and deliveries. They’ve been able to provide a large selection of high-quality clocks at great prices. It’s no wonder customers rave at their satisfactory customer service. It’s not just a store. 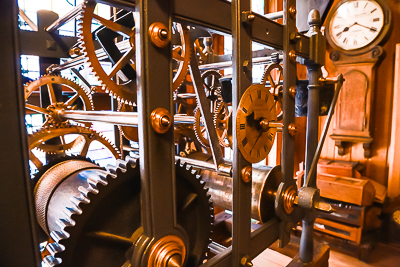 It’s a museum filled with family heirlooms, revered history, and art made of finely tuned clocks. Champ’s Clock Shop is no longer a hidden gem in the “out in the country” woods of Douglas County. Champ’s Clock Shop’s clocks made their debut in a newly released feature film, “The House with Clocks in Its Walls”. 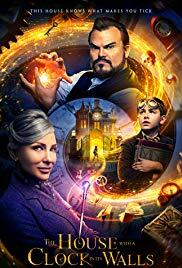 Filled with adventure and curiosity, a recently orphaned boy, Lewis (Owen Vaccaro), is sent to live with his mysterious Uncle Jonathan (Jack Black), who he quickly discovers is a warlock. After discovering a hidden clock in the walls of his uncle’s home, they must work together to stop the clock from ticking down to the end of the world. The Antique Wall Clock and the Special Weights and Pendulum Clock were a few of many clocks recruited as props to be featured in the film. Helping with consulting on their Big Grandfather Clock, the Champ’s Clock Shop team were able to have a hands-on interaction with the setup of their clocks for the film. 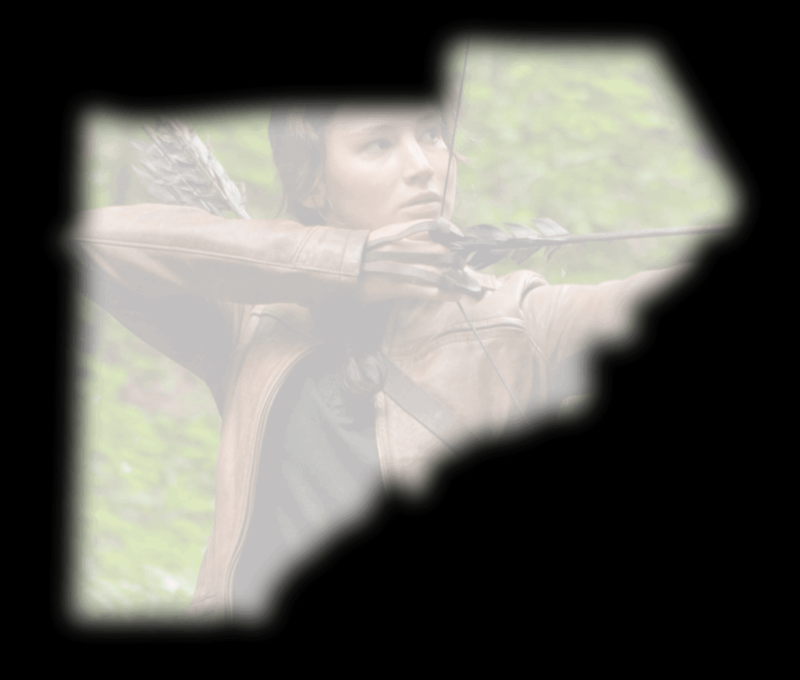 In fact, all of the clocks and sounds you see and hear during the movie are due to Champ’s Clocks and their team! They even spent 8 hours with the production team recording clock sounds, and 12 more hours to make sure the clocks made their “surprising” debut right on time. In “The House with Clocks in Its Walls,” you’ll find that Champ’s clocks are brought to life using spectacular digital animation to enhance the clock’s magical features during the movie. 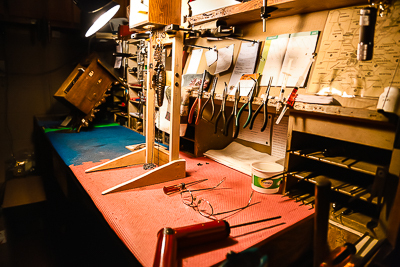 Find an adventure in every corner of Champ’s Clock Shop. If you’re rolling through the outskirts of Atlanta, make sure to pay a visit to Champ’s Clock Shop, located at 3834 King Drive, Douglasville, Ga, 30135, where you’ll find unique and charming clocks. So, come on down to see the full collection of all the clock’s featured and shown in the movie “The House with Clocks in Its Walls”. Champ’s Clock Shop is so intriguing and captivating, it’s the perfect place for your whole family to have fun.